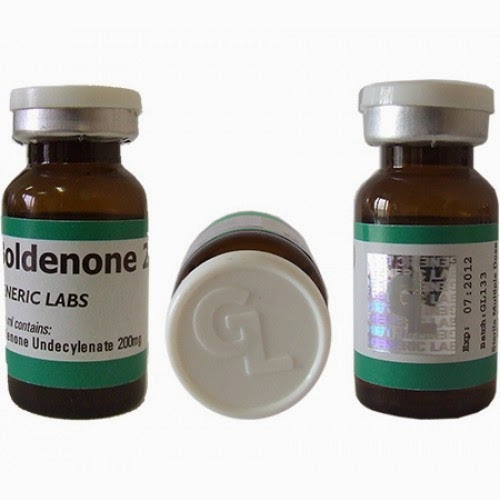 The use of boldenone is gradually becoming more respected by many top athletes, and more than just for its appetite-enhancing properties. I suspect that in previous years bodybuilders have not found boldenone use as beneficial due to the preparations available to them. One popular brand of boldenone undecylenate is Ganabol; a vetinary preparation of boldenone has just 50mg per 1ml of oil carrier. Even a modest dose of 400mg per week would necessitate the administration of 8ml of oil which, bearing in mind the user will probably also be cycling other steroids, a real inconvenience. It is this author's view that a minimum of 600mg/week of boldenone undecylenate is needed for beneficial effects, ideally 800-1000mg/week. With preparations such as Ganabol, doses of 800-1000mg/week would require 16-20ml per week, which is not very practical.